With locations in Cork, Dublin and London Derek Smith Electrical Contractors have been operating for a number of years. Derek Smith Electrical have seen a huge growth in turnover as a company which has led to us being recognised as a leading contractor in a number of fields. We have remained focused on providing the best Electrical Building Services solution to all our valued clients. We have an excellent client retention rate and this is maintained through our genuine desire to succeed to the benefit of the client and the project – a factor which has been essential to our success. 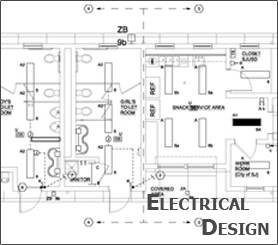 Derek Smith Electrical offer a full service, including design and build, for the installation of Electrical systems for new build, refurbishment or fit out projects. The services we offer include Display lighting, Emergency Lighting, Fire Detection, Building Management Lighting, Power and Data Networks, Lightning protection, TV/Satellite, Audio Visual, CCTV and Security systems, Access control all of which can be offered as design and install through our in house team of engineers. The workforce is the foundation stone of any organisation and Derek Smith Electrical is no different. We are justifiably proud of our people and we believe that our employees have proved themselves over the years to be second to none. Derek Smith Electrical staff has many years experience with some of our staff having worked for the company since the start – our staff turnover is minimal. Derek Smith Electrical are investing in our own and the industries future through our Apprenticeship Policy, which means we have and train apprentices with the company at any one time. We are investing in our people through continuous training and development. We will continue to invest in skill upgrading and health & safety training. This will continue to ensure our customers receives the best service and our companies future.